And check out the fun center of the flower she created. It is easy to add glitz to your cards too. 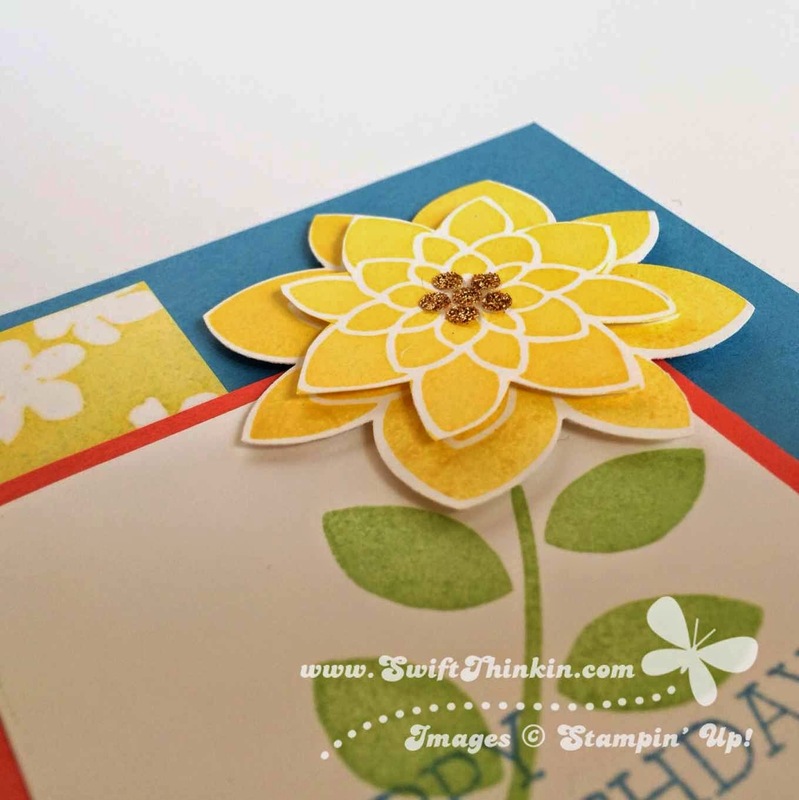 Just use scraps left over of your glimmer paper and the 1/4" handheld punch. Tada- instant rhinestone like embellishments. 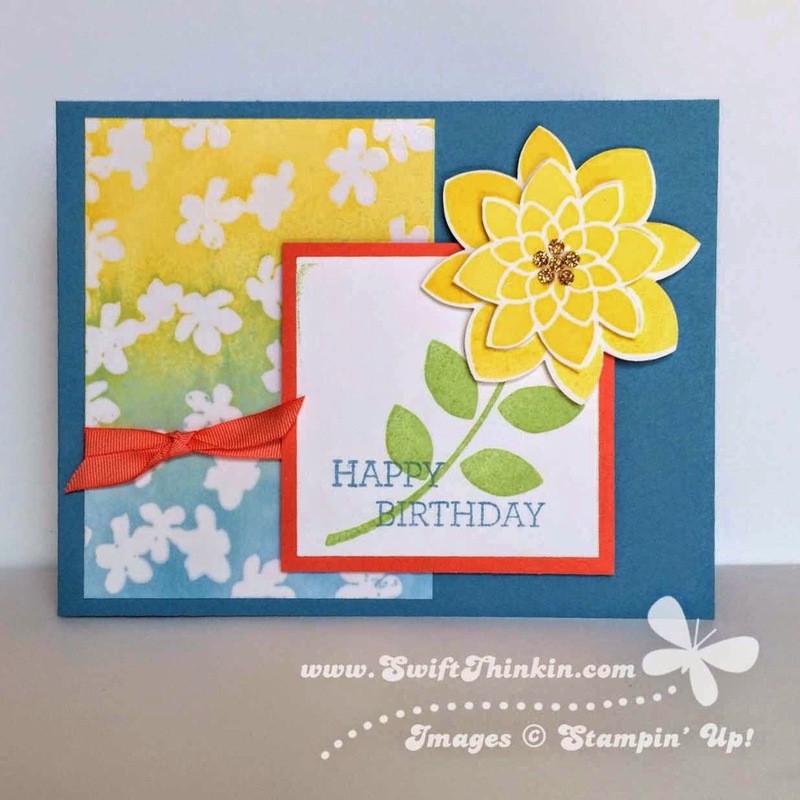 Just add using a drop of Tombow glue and you are good to go!